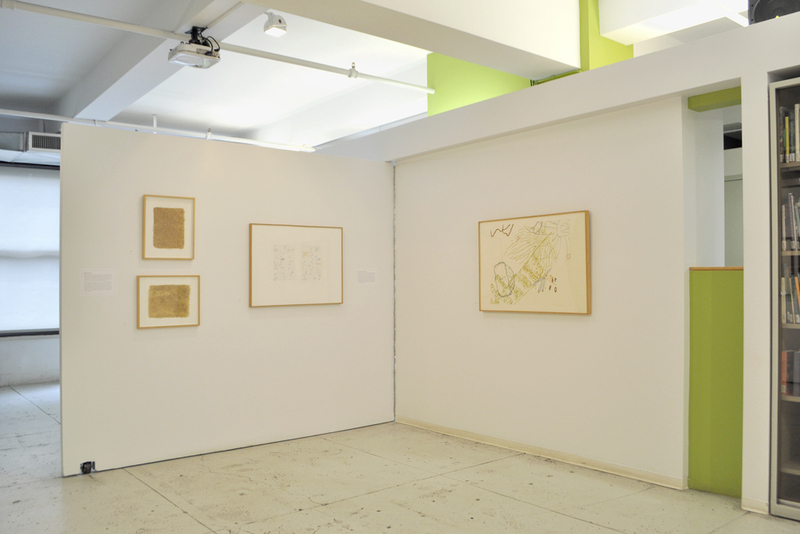 Installation view, By leaves or play of sunlight – John Cage: Artist and Naturalist, The Horticultural Society of New York, April 2 to May 16, 2014. Display case showing Mushroom Book and photographs of Cage by John Klosty. 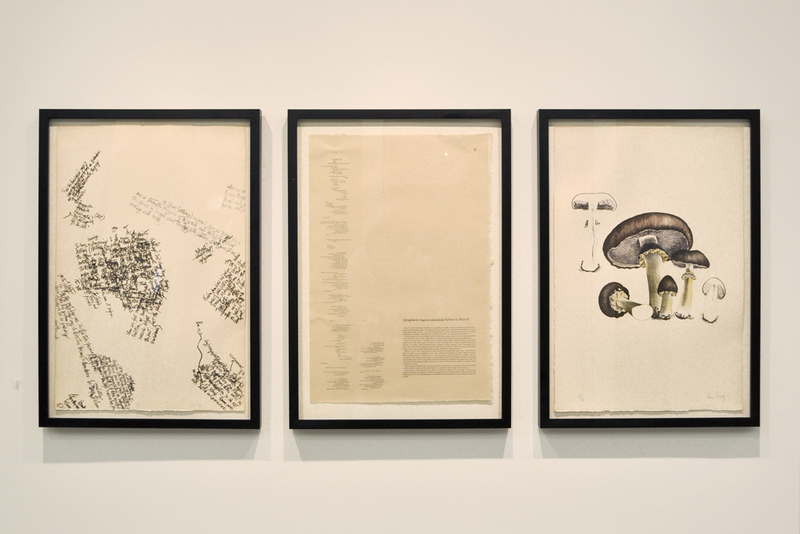 John Cage, Edible Drawing #4, 1990, Bitter melon, pepper, and greens dried into a sheet, 9 x 11 1/2 inches, Edition of 6, Courtesy Margarete Roeder Gallery / © John Cage Trust at Bard College.